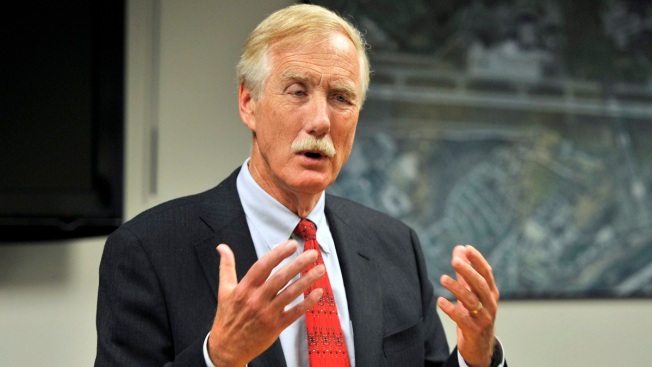 Sen. Angus King (ME-I), announced Monday he has prostate cancer and will be undergoing surgery Friday. He added he has no plans to abandon his re-election campaign in 2018. Independent Sen. Angus King of Maine says he's successfully undergone prostate cancer surgery. King made the announcement in a statement from his wife, Mary Herman. Herman said that her husband is feeling fine after the surgery Friday and eager to return to work - apart from being a bit sore and "boring us all with bad prostate jokes." King, who is 71, survived malignant melanoma decades ago. Earlier this week, he disclosed the prostate cancer and plans for his surgery, performed at Massachusetts General Hospital. King said he has every plan to continue working and run for re-election in 2018.